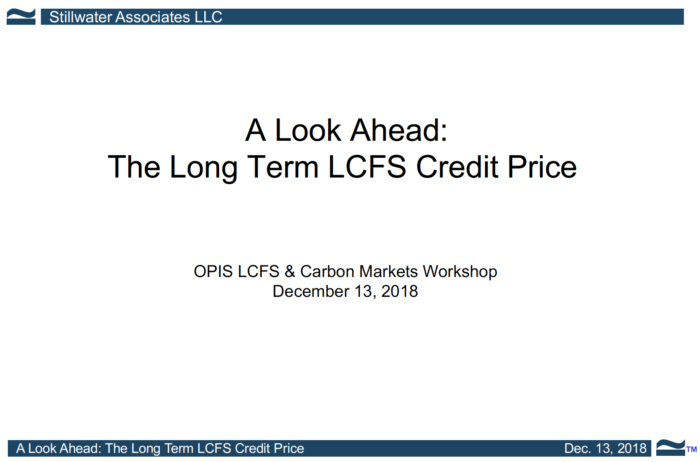 On December 13, 2018, Stillwater Senior Associate Leigh Noda participated as a panelist at the OPIS LCFS & Carbon Markets Workshop in San Francisco. The panelists were asked to address: “What exactly will the long-term price of the LCFS credit look like? As the LCFS program heads into 2020 and beyond, what products will produce the most credits?” Leigh weighed in with Stillwater’s thoughts on the topic. You can view a PDF of Leigh’s presentation here.